Winter has finally hit us with a bang and the last thing any of us wants is for our heating to fail, HECAS has a huge stock of spare parts for all makes and models of boiler, cooker and fires Including the following popular brands. Genuine Baxi spares for Baxi, Potterton, Main and Heatrae Sadia. Quality, all Baxi genuine parts are supplied directly from the manufacturer and are made from the best quality material that have been designed to meet the toughest quality control standards and are complete with a one year guarantee from defects. Reliability, Genuine Baxi spares work better and for longer, reducing the costs of replacements. They have been designed specifically for use in our boilers to give you optimum performance and therefore save you money on fuel. Baxi parts are easy to install, reducing labour costs for repairs and achieve boiler longevity. Safety, Baxi genuine spare parts are fully compliant with gas safe regulations, protecting both you and your home. 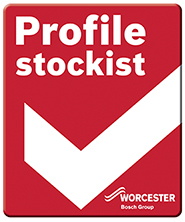 HECAS are a Worcester Bosch Profile Stockist and are able to offer the following service. We know that when you carry out a boiler repair getting the part you need quickly is very important Worcester Bosch offer a 98% availability of genuine Worcester spare parts in profile stockist branches and 100% availability next day.